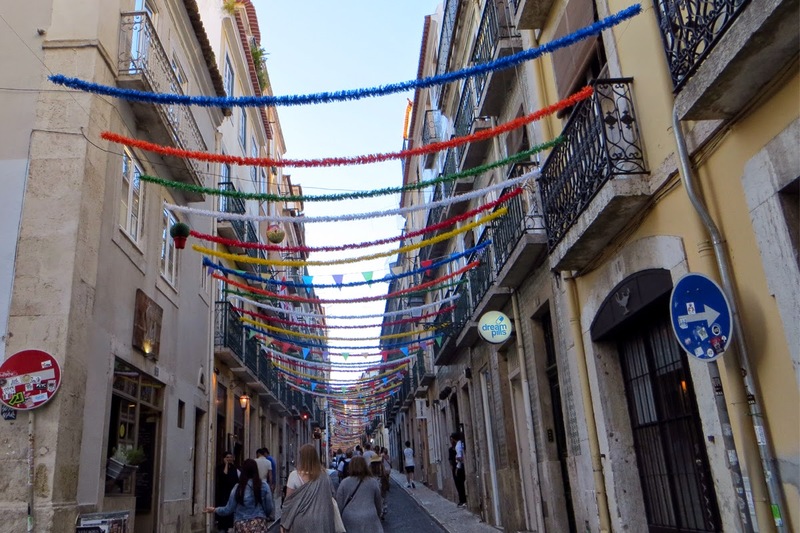 Getting to Lisbon required an overnight train from Madrid, so it was a first experience for us! 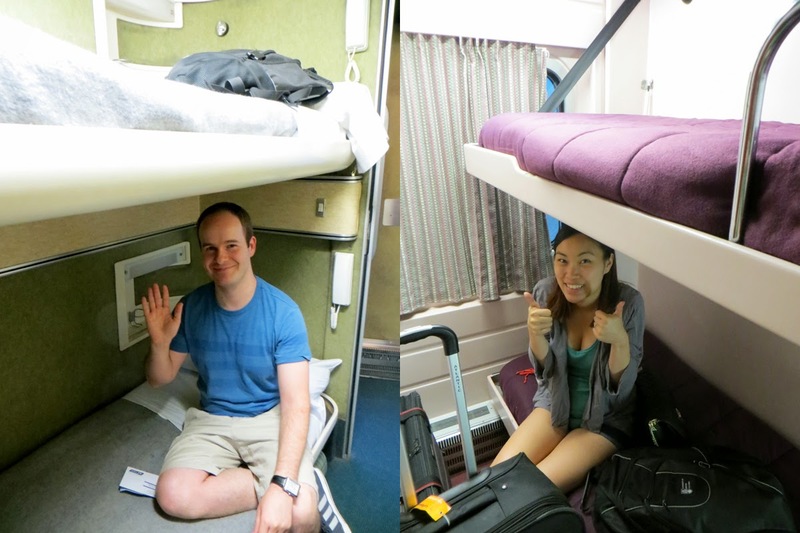 The quarters were extremely spacious, as you can tell from the photos (we basically didn't have anywhere to walk once the luggage was in the cabin). We also had a ensuite shower on the way back so that we wouldn't be smelly on the plane, which was much fun at 300 km/hr. Anyway, we survived to tell the tale. We started our adventure in Belém, a half hour tram ride away from the downtown core. 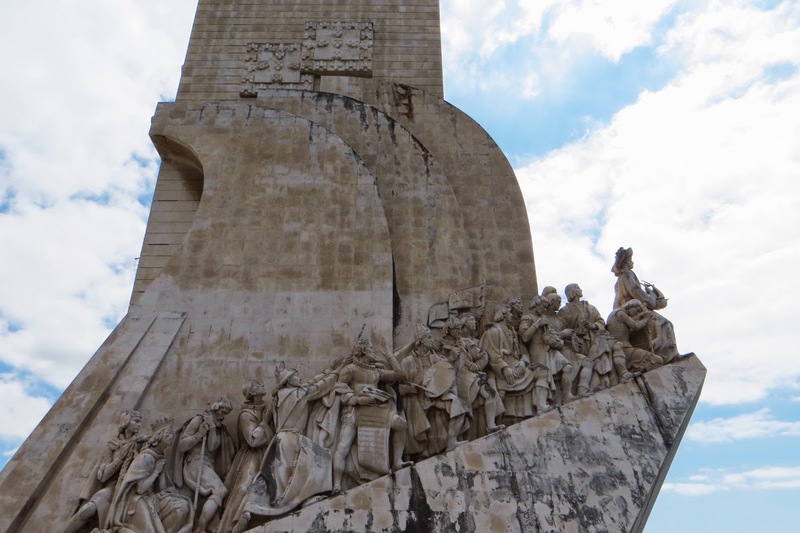 The above picture shows Padrão dos Descobrimentos (Monument to the Discoveries), which stands by the ocean and is a celebration of the Portugese Age of Discovery, which led to a global mapping of the world. Two of the main attractions were the Jerónimos Monastery and the Belém Tower (above), both UNESCO World Heritage sites. 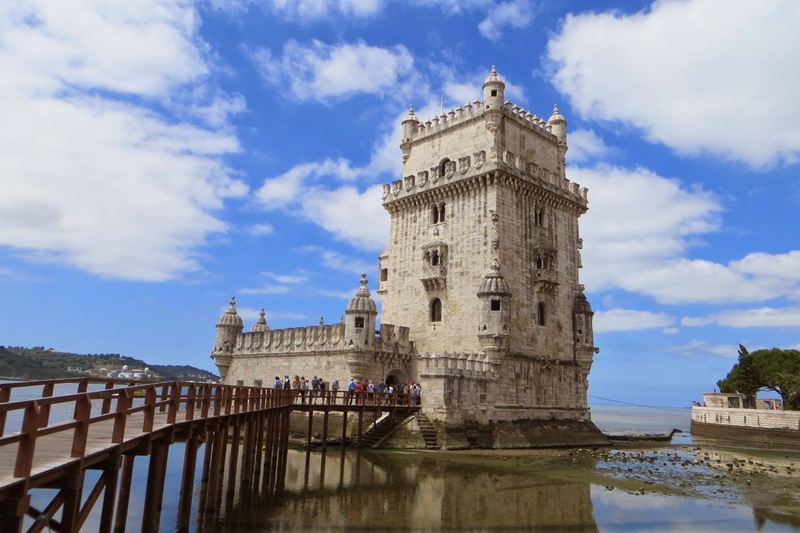 The Belém Tower was built as a defense system and ceremonial gateway to the city. Inside, we found some great views, as well as some claustrophobia-inducing niches. 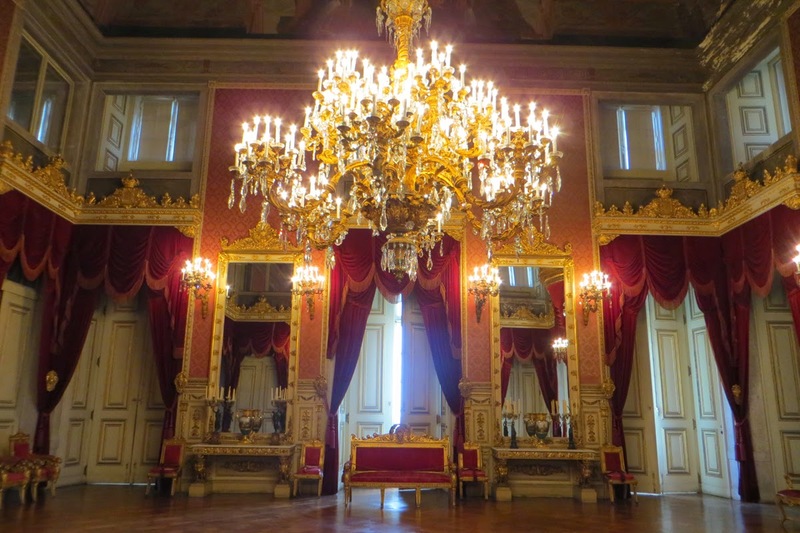 A trek up a mountain brought us to the eerily empty Palácio Nacional da Ajuda (Ajuda National Palace). Seemingly forgotten by tourists, the palace was filled room after room with untouched furniture and exquisite art. Some of the rooms were in decay, and the silence of the building makes it seem almost haunted. Back in the city's core, we learned that tour tips weren't joking around when they noted that Lisbon is a very hilly city. We got quite the workout from trying to navigate the maze of back-alley streets. There are many districts, such as the festive Bairro Alto pictured above. The benefit to walking up numerous hills is the fantastic view from the top. From the above photo, you can see Castelo de São Jorge on the hill on the left, and the Vasco da Gama bridge on the horizon. 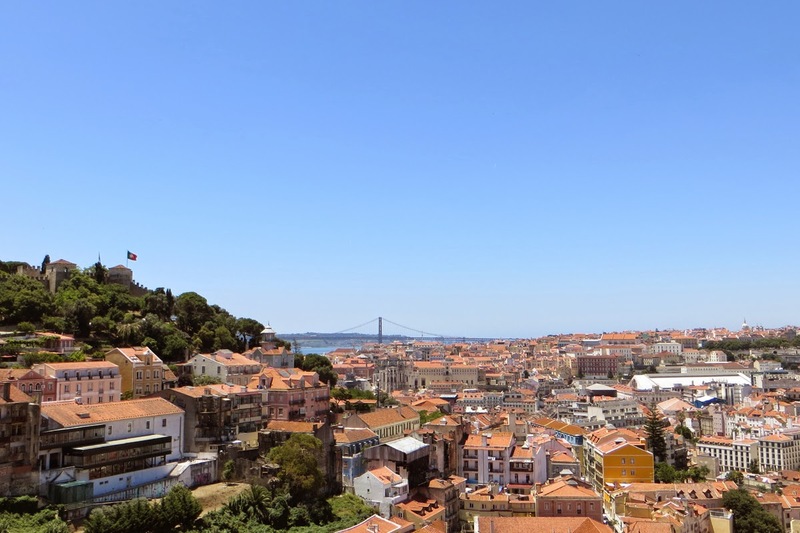 Lisbon is famous for the red rooftops on their buildings. The best part of Lisbon was the food - the Portuguese sure know how to use butter! 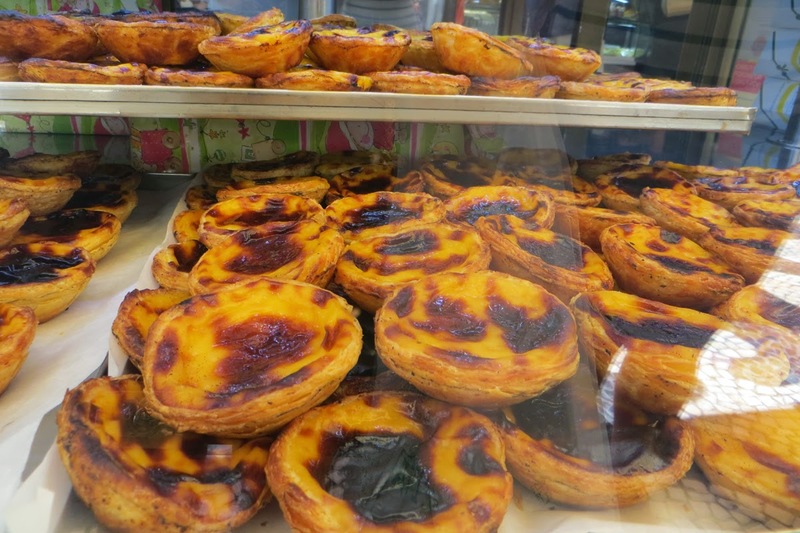 I fell in love with pastéis de nata, their egg tart pastries - and I would greatly appreciate a tip on where to get these in Vancouver!